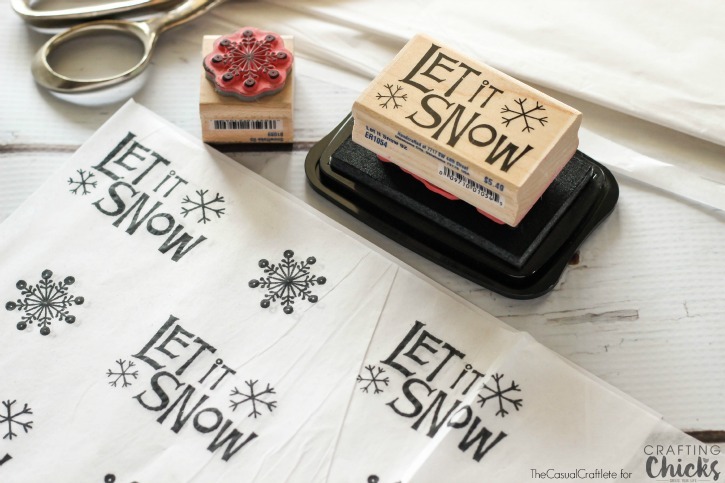 Add a little extra special touch to your gift wrapping this Christmas by making your own Stamped Tissue Paper. So cute and easy to make! Hello there! 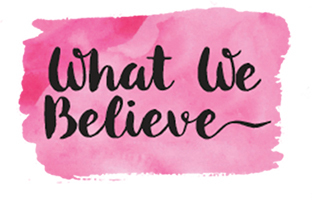 It’s me again, Katie from The Casual Craftlete blog. Last year I shared some adorable Stamped Christmas Gift Bags and I thought this year I would make my own Stamped Tissue Paper. 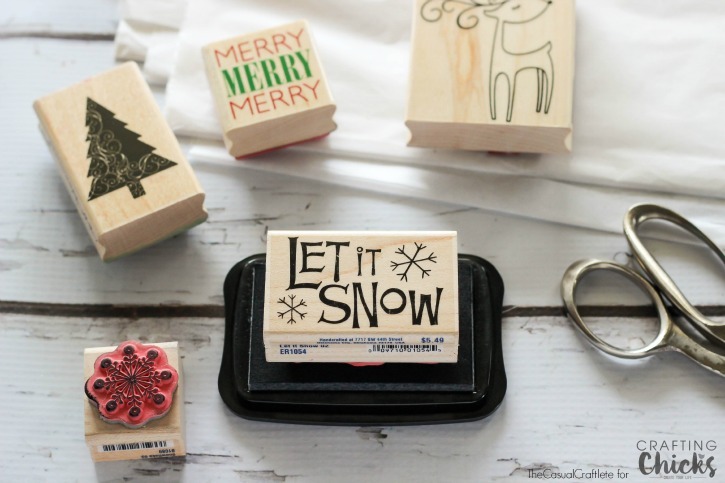 Since I already have a ton of rubber Christmas stamps in my craft supplies, I figured I would try and use them to come up with a super easy craft. 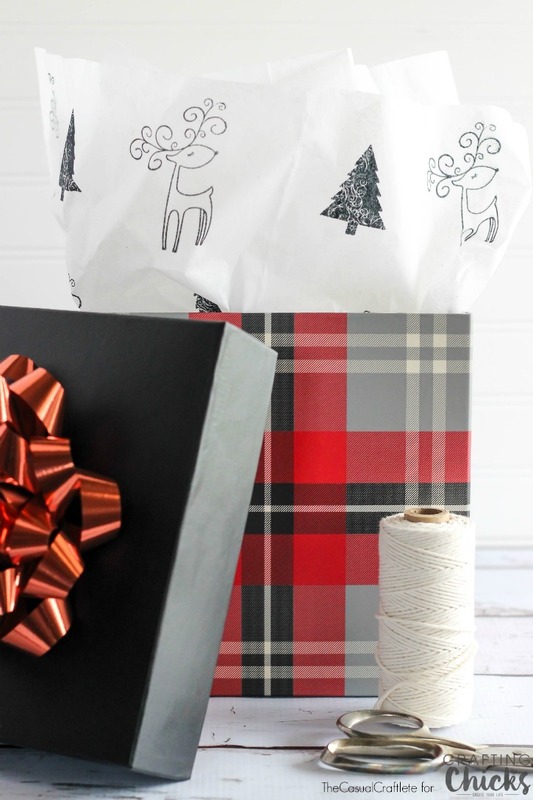 How cute is that stamped tissue paper?! 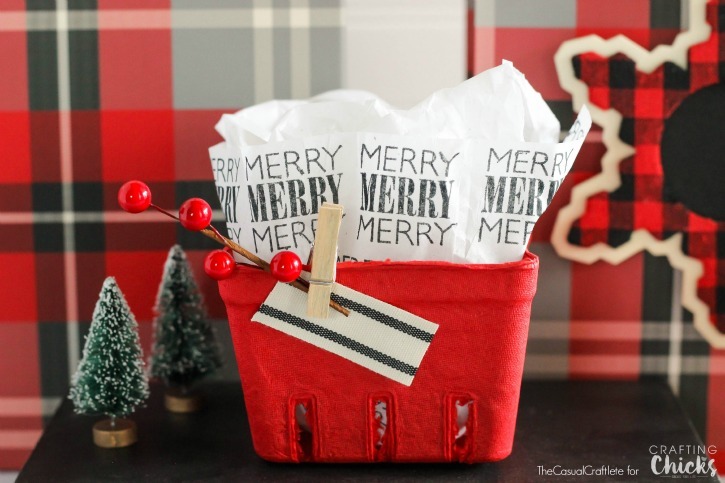 It adds so much fun and whimsy to gift wrapping. If you haven’t noticed already, the hot tread this holiday season is plaid. Let’s just say I am definitely jumping into the trend head first because I am mad about plaid. 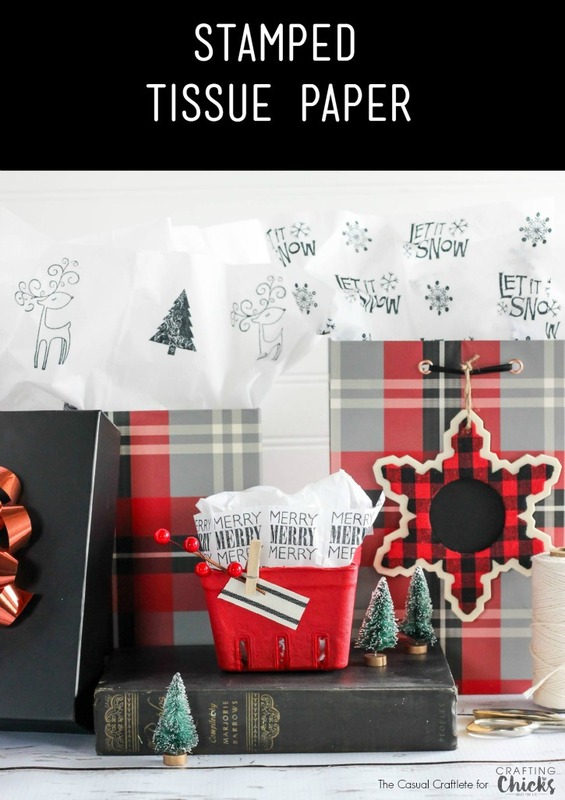 I bought these super cute plaid gift bags and boxes at Target. 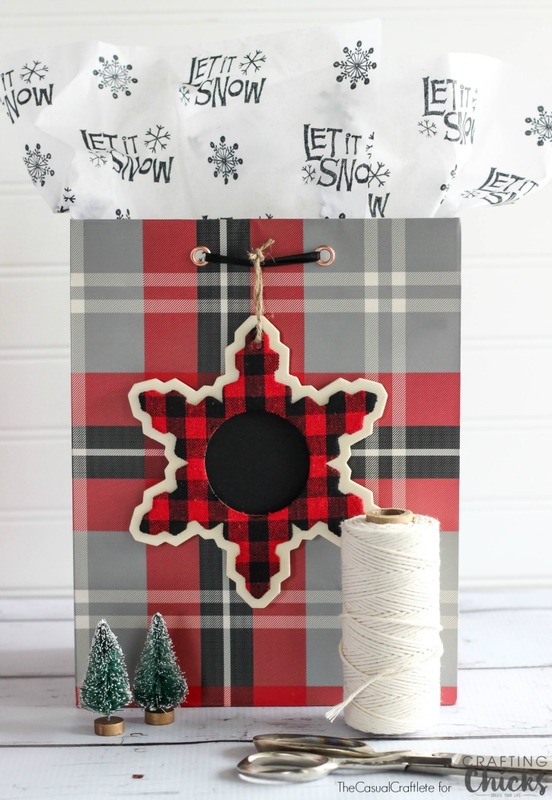 Since plaid is a bold and busy pattern, I decided to keep my stamped tissue paper very simple by using only black ink. You can use any color ink and even add glitter if you like. The great thing about making your own stamped tissue paper is that you can create all different kinds of designs and patterns. I love mixing two stamps to create one easy pattern. Do NOT press the stamp into the ink pad. Instead hold the stamp in your hand and gently press the ink pad onto the stamp. This will prevent any smudges. Use a baby wipe or wet wipe to remove the ink from your stamps when you are done. Clean up is easy. I just love how my stamped tissue paper turned out! I can’t wait to give these presents to my family and friends this Christmas. Thank you for letting me share my super easy and cute craft with you today. Hope you all have a wonderful holiday season and a very Merry Christmas! What brand of stamp pad did you use, and is there a certain “type” I should get? This is super cute and I was planing on doing something like this for sending out my products to customers.